This Front open denim abaya is beautifully designed with buttons at front, made of high-quality denim fabric. It consists of simple sleeves for easy movement and side pockets. It comes with a complementary matching scarf which is taking the appearance to another level. 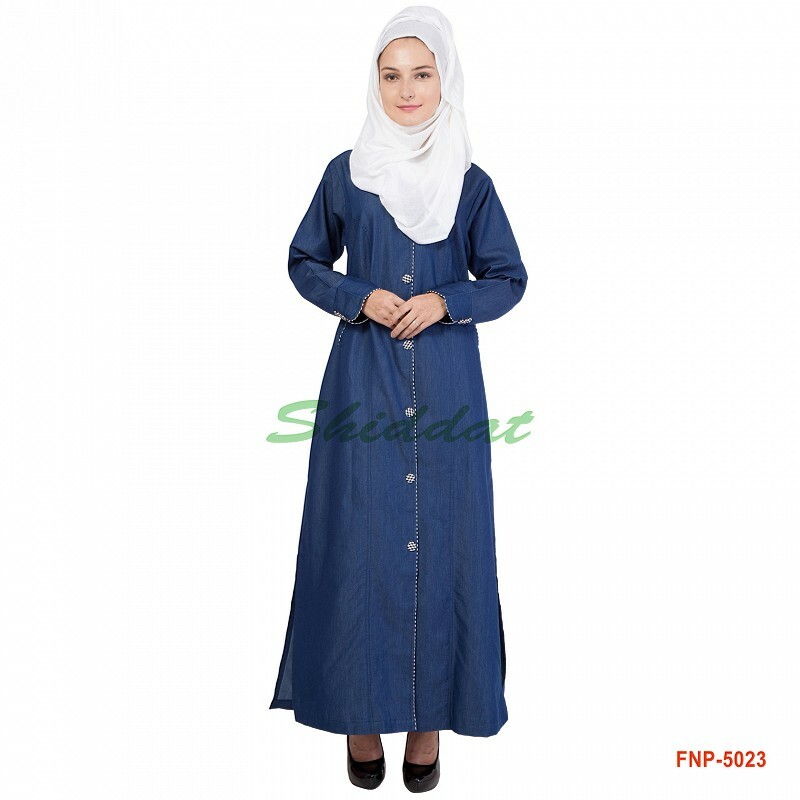 Cash on delivery as well as online payment for this stylish denim abaya is available. Also free shipping to any part of India.